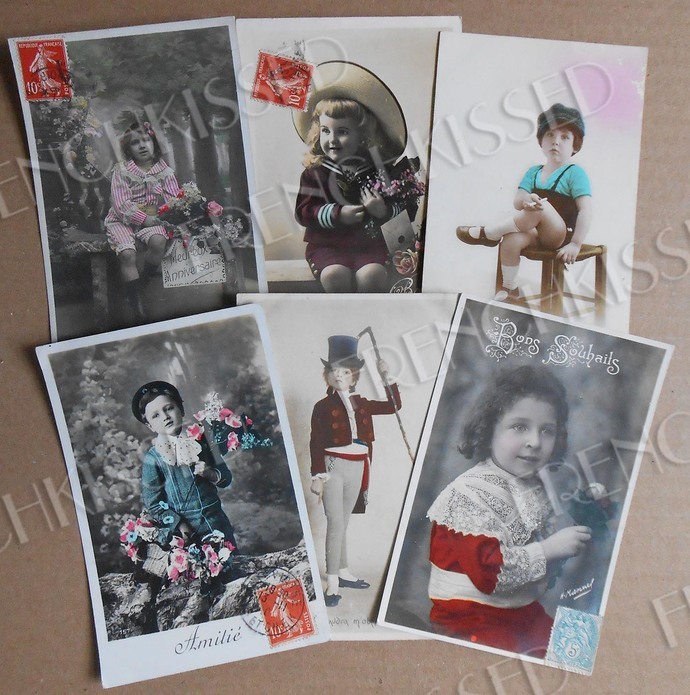 This batch of 40 antique French postcards includes many standouts, either because of the quality, pristine condition, the color tinting or the cute boy/man himself. Even the few cards that show their age or wear have exceptional images from yesteryear. Each card is about 3.5 by 5.5 inches. Most are real photos that have been painted by hand but there are a couple of illustrations. Some of the cards may have color stickers verso as shown in the last photo. Lots of French script!